What's black and white and moves all over? 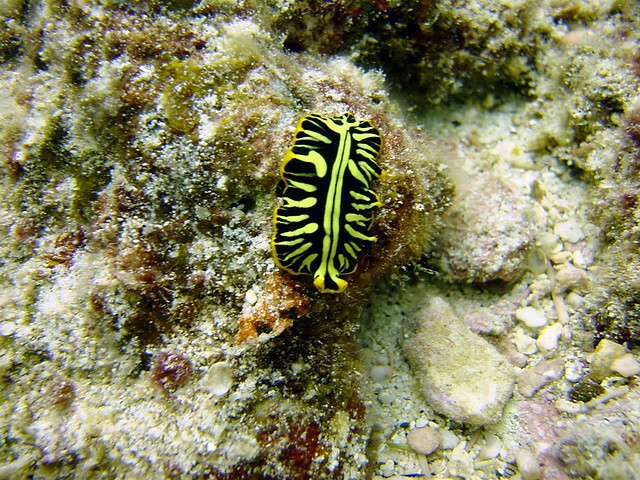 The most common areas that the Tiger Flatworm is found are tropical waters with high temperatures. These areas can include anywhere from South Carolina to the Florida coast. It can also be found in the Caribbean and the Bermuda Sea (Taighler, 2008). Theseorganisms will be found near mangrove tunicates, which are colonies of ascidians that contain individual zooids connected through different solons near the base of the colony. 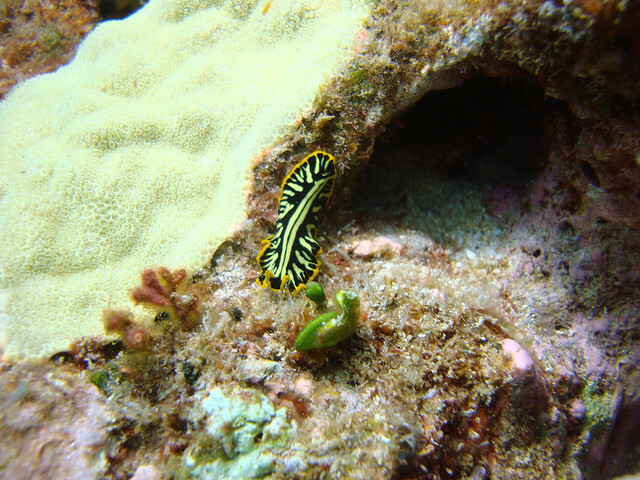 The Tiger Flatworm uses the Ecteinascidia turbinate, the orange tunicate, as their primary source of food. That is why these two species share so many of the same locations. The orange tunicate is not only very important to the Tiger Flatworm, but was discovered to have very useful pharmaceutical properties (McHenry, 2005). 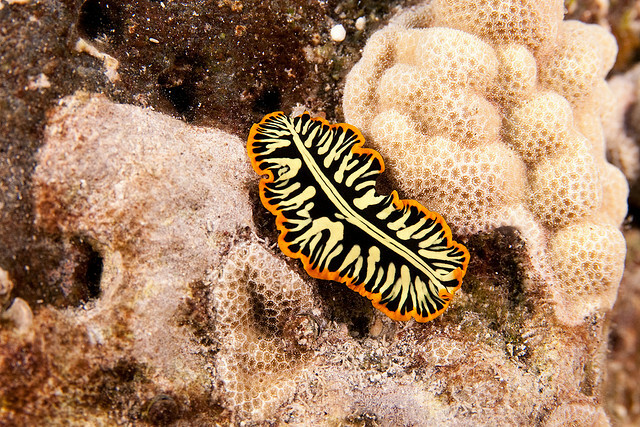 In a rare case that these two species are separated, the Tiger Flatworm can be found using other substrates and share shallow, intertidal, or subtidal waters with those organisms (Weige). Question or Comments? Feel free to contact me at arndt.jord@students.uwlax.edu. Site designed by Jordan Arndt, Last updated April 2011.